My, my, my; April was a busy month around the web! We know that it’s hard to keep up on, well, everything, which is why we’re here! Now that you’ve all watched that award-winning video (and if you didn’t, what are you waiting for? Click the link above! ), we’ll let you in on the content marketing news that lassoed in our attention this past month. Dah, Dah, Dah, Dah: Drumroll Please! First on our list is some news that doesn’t come as a surprise to us, and shouldn’t come as a surprise to you, either! The annual Effie Survey was released, and confirmed, once again, that Content is King! Moreover, it’s just getting more and more important, so you better be paying attention! For those of you who don’t know, the Effie Awards are marketing communications awards given yearly by Effie Worldwide, Inc., a nonprofit organization, to honor the most effective marketing communications ideas. Content audits are hard work, but they can be overwhelming if you don’t know where to start. A fantastic book that I have read, re-read and keep flipping back through is Content Strategy for the Web by Kristina Halvorson. It’s a wonderful guide, and we have used the advice in it ourselves! Get it.You won’t regret it! Speaking of strategy, isn’t it in everyone’s ultimate strategy to create content that goes viral? In this article, I was incredibly pleased to see the basics revisited, paying homage to one of my favorite speakers, Simon Sinek. Sinek’s ultimate goal is to help others understand the importance of starting with “why.” Don’t understand what I’m talking about? Read the article, and be sure to delve deeper into the “why” revolution. It’ll change the way you think about your strategy—and hopefully your business in general! You think you have your “why” narrowed down? If so, it’s time to move on to your “how.” One of the first things to do is create a content marketing calendar. Lucky for you, CoSchedule provides some great examples! This article really is a fantastic resource. Print it out to refer back to when you get frustrated, confused, or overwhelmed (because it will happen)! Okay; you’ve got your strategy down, and are working on a calendar. Now comes the hardest part: writing. How do you make the writing process less hellish? Here are 15 tips—some of which I found myself using on this very article! Woah—hold on! Not so quick. 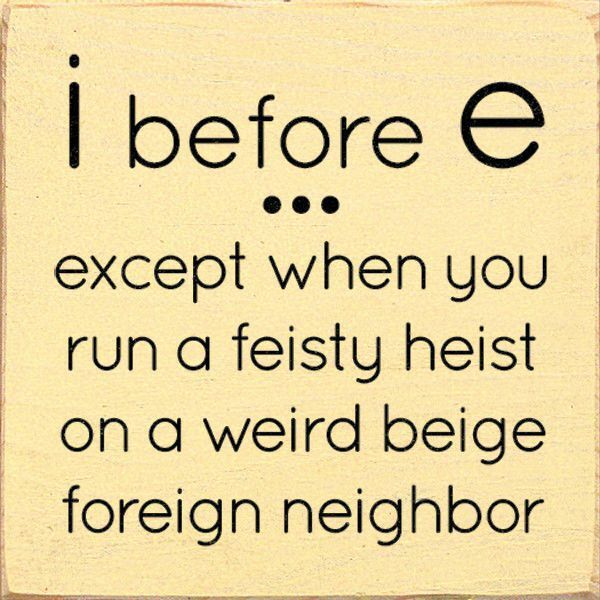 So many people think that writing is easy-peasy, but you can’t forget about proper grammar and punctuation! There are a few more tips you need to remember while you’re writing, and one of them has to do with avocado’s. That’s right; I said avocado’s. (Does anyone notice that misused apostrophe?) Misused apostrophes run rampant in grocery stores (seriously; keep an eye out for them! ), and while they may not cause you think twice about your avocado purchase, they can make your potential clients think twice about hiring you! Our own cranky grammarian, John Prager, explains more in this witty, helpful, and uber-informative article. And don’t worry; there’s more where that came from. John has a recurring grammar column on our blog! You’re in the zone writing, writing, writing, when you realize that you just put together a novella on accident claims. While it may be interesting to you, you wonder, “Is it okay to write long articles, or is it better to put together one-sentence answers to questions instead? One of the hottest changes in content came in the form of a redesign of Google’s search engine results pages (SERPs). Your eyes are probably used to the changes by now, but one thing that’s not so easy to adjust to is the allotted length of your titles. Prior to Google’s massive changes, approximately 70 characters of a title were displayed in the SERPs; however, due to the new guidelines, which are actually based on the pixel width of your characters, that number has been cut down to around 55-60 characters! Many thanks to Moz for this awesome tool, which offers you a preview of the redesigned result. It’s super cool; we promise you’ll love it. What Should My #Hashtag Be? I Want It to Be Clever! In the middle of all of this strategy, you can’t forget about your social media! We’re not suggesting you go take a ton of selfies for your Instagram account, but we are suggesting that you understand that world a little better! That’s why we put together a guide for you on 21 top twitter tips and tricks! These have been tested on my own Twitter account (@ContentCounts), so I promise they’ll work! Want to know more? Leave a comment below and I’ll help you with your Twitter account too! Okay; you know how to get your Twitter account up and running, but now you have to create posts. Since you want to get the most bang for your buck, it’s good to know when you should post, right? Well, lucky for you, Hootsuite compiled their data and provided that information in this blog! Well y’all, that’s about it for the April roundup, but be sure to check back next month to see what this month brings! Did you find this helpful? Please let me know! I’m here to help you make the most of your content! If there’s something you’d like to know more about, please leave a comment in the section below.